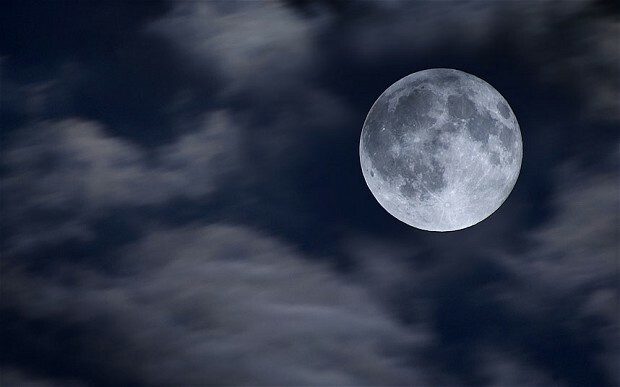 April 4th’s full moon is known by some Pagans as the “moon of the waters.” It embodies the old saying that “April showers bring May flowers.” The rains of April help the earth to turn green again. It seems like everywhere we look, something else green is popping up or blossoming with flowers. Spring is a time when the life-force of the Universe is felt by even the most unobservant among us. According to the wonderful book A Year of Ritual: Sabbats and Estabats for Solitaries and Covens by Sandra Kines, the themes of this moon are as follows: 1) To acknowledge the importance of water, 2) To celebrate our nurturing qualities, and 3) To honor the flowing and changing of life energy. In the Christian tradition, Easter is celebrated on the first Sunday after this full moon. To my knowledge, it’s the only major Christian festival whose date is determined in this manner. It always makes me smile because Easter, in particular, borrows heavily from the celebrations of our Pagan ancestors. (See my posts on Ostara). As Christians make the transition from the season of Lent to the season of Easter, themes of new life abound as we speak of resurrection and new life coming from death. Love is come again, like wheat arising green. I think it’s one of the most beautiful and poetic hymns the Church sings. Happy Easter everyone and for those who celebrate the Estabats, enjoy the Moon of the Waters! This entry was posted in Easter, Esbats, Liturgical Calendar, Ostara, Wheel of the Year and tagged Spirituality, Wicca. Bookmark the permalink.